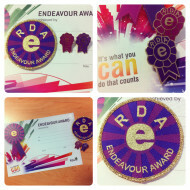 Endeavour Certificates are now available! Order your FREE resources today! 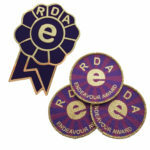 What is the Endeavour Award? 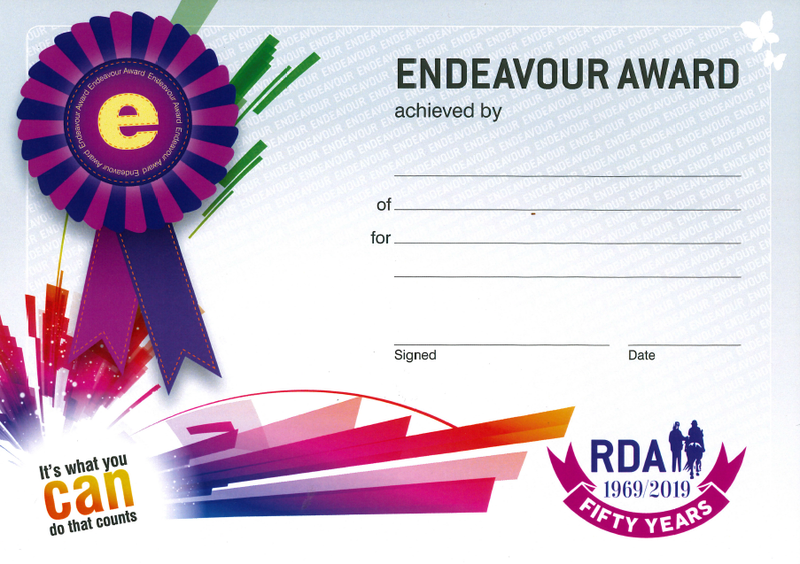 The all-new RDA Endeavour award has been designed to enable groups to recognise and reward individual achievements by ALL riders, vaulters and carriage drivers; regardless of ability or time spent in sessions – and without the constraints of any set syllabus or the need to take any kind of test. The idea is for groups to work with participants in setting mini ‘goals’ to work towards, in order to achieve the Endeavour certificate and badges, which have been carefully designed to be as colourful and appealing as possible. It’s important for participants to be involved in choosing and setting a ‘challenge’ and also to making everyone involved aware of what they are working towards, as this can really help with confidence and self esteem and it makes the actual achievement of the final award (and understanding how the goal has been reached) so much more of a positive, uplifting experience. These goals can be anything that shows progression, development, or the achievement of something special, over a period of time. Goals should be clear and simple, to make sure that everyone understands what is expected and what needs to be done. It’s ideal for participants for whom traditional proficiency tests or ASDAN projects aren’t suitable. There are no limitations! More than one award can be given and groups can set the goal, the pace and the timescale with participants. It can be a short-term goal, to be awarded after a couple of weeks, or perhaps something to steadily work towards over a school term. 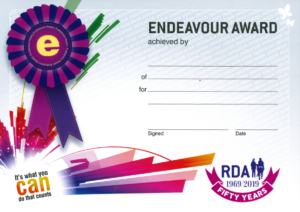 Why not download the free, optional ‘My Endeavour Promise Sheet’ from the ‘Useful Resources’ section to the right of this page, to start planning how you will make the awards in your group? Offering extra opportunities for participants to achieve and be rewarded helps to demonstrate to OFSTED that the sessions are high value, as their pupils are not only riding, vaulting or carriage driving, but are also meeting targets, developing and progressing physically, socially and in an educational capacity. 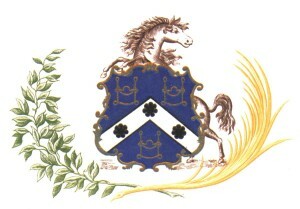 The sessions are therefore important to support what the school is working to achieve and this can help to justify requests for ongoing funding and grants…which in turn means groups are more likely to be able to retain riders and develop longer-term, fulfilling relationships with local schools.